When we find a style that we like, usually the next step is to upgrade it to its best and combine it with other techniques. 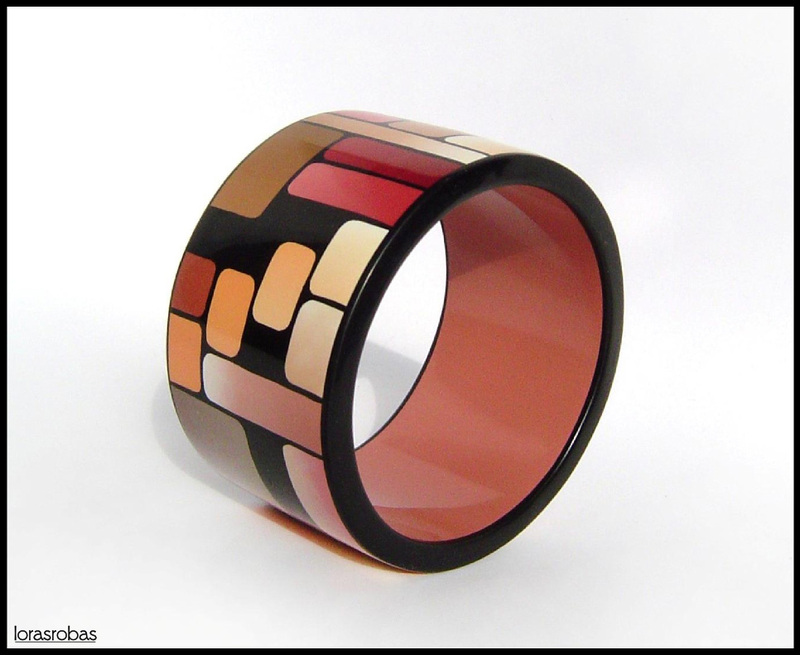 This bangle is made in the same way as Color your life bangles (1, 2, 3), but has subtle, earth toned colors with rounded corners which gave it that retro 70’s wallpaper look. Since we always tend to make improvements, we should mention the new signature-emblem. We sign almost all of our work, especially bangles, so we thought it would be nice to simplify it with a stamp. So we ordered a simple custom-made one that you can get made anywhere these days – with the same logo as the one on the website. Tagged backfill, bangle, brown, multi-colored, polymer clay, skinner blend.